Single Touch Payroll is mandatory for ALL employers from 1 July 2019. To help you be compliant, we have developed a new application called GovConnect STP that connects all four Reckon products to the ATO STP service. The application acts as a gateway, enabling you to view and lodge your STP quickly and easily no matter what Reckon product you use. You can also review your submissions before you lodge, keep track of ATO messages and view all past STP submissions. Get all the information you need to ensure a smooth transition to STP reporting. GovConnect STP how-to recorded webinars for each product from 2018 webinars. Need a hand? We have a whole network of experts that can help your business be STP compliant! Check out these resources to learn more this new ATO requirement and get your business up to speed. Reckon has developed a new application called GovConnect STP that connects Reckon One to the ATO STP service. STP functionality is available in Reckon One now. 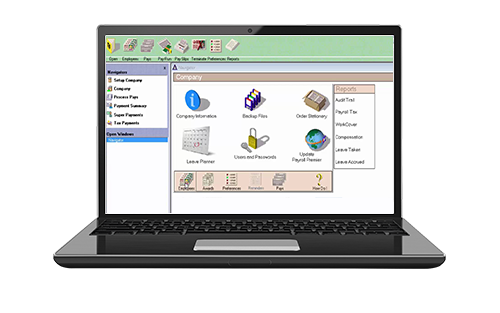 STP functionality has been automatically updated in your software. Review the GovConnect help guide for instructions on how to log into portal.reckon.com and set-up GovConnect STP for your product. Visit our STP help site for specific Reckon One instructions. Reckon has developed a new application called GovConnect STP that connects Reckon Accounts Hosted to the ATO STP service. 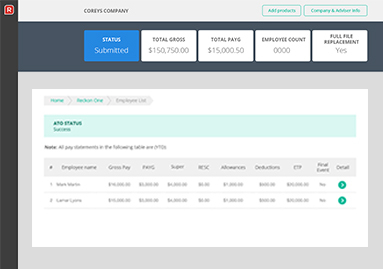 We’ve updated your software with a new export option to get the required payroll data in a file format that GovConnect STP can read. STP functionality is available in Accounts Hosted now! Upgrade your data file to Reckon Accounts Hosted 2018 R2 or Accounts Hosted 2019 . Enable STP functionality in Reckon Accounts Hosted – see STP help site. Visit our STP help site for specific Accounts Hosted instructions. Reckon has developed a new application called GovConnect STP that connects Reckon Accounts 2018 to the ATO STP service. We’ve updated your software with a new export option to get the required data in a file format that GovConnect STP can read. STP functionality is available in Reckon Accounts now! Install Reckon Accounts 2018 Release 1 + the tax table update. (Upgrade here if you haven’t already). Enable STP functionality in Reckon Accounts – see help site. Visit our STP help site for specific Reckon Accounts instructions. Reckon has developed a new application called GovConnect STP that connects Payroll Premier 2018/19 to the ATO STP service. We’ve updated your software with a new export option to get the required data in a file format that GovConnect STP can read. 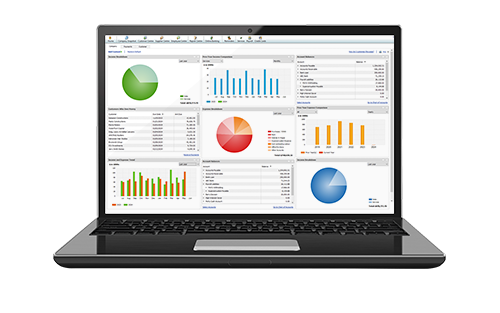 STP functionality is available in Payroll Premier now! Install Payroll Premier 2018/19. (Upgrade here if you haven’t already). Enable STP functionality in Payroll Premier – see STP help site. Visit our STP help site for specific Payroll Premier instructions. Answers to the most common questions surrounding Single Touch Payroll. What Reckon products will be STP compliant? We’re supporting STP across our online and desktop range. The following products will be ATO compliant by 1 July 2018. GovConnect STP is a separate application we have developed to enable our customers to comply with ATO STP requirements. GovConnect STP acts a gateway, enabling you to lodge your STP reporting directly to the ATO. It also keeps track of messages from the ATO and provides a history of past submissions. Note: GovConnect STP is separate to GovConnect in our desktop/hosted software. When will STP be available in the software? Will STP change my current payroll workflow? The aim of our release is to ensure minimal disruption to your current payroll processes. You will process a pay run as normal and then there will be a couple of additional steps to lodge to the ATO, however this should only take a few minutes. See your product section for further information. If you are using an earlier desktop version, it will not be STP compliant. How is Reckon enabling STP compliance? Reckon has developed a new application called GovConnect STP that connects all four Reckon products to the ATO STP service including Reckon One, Reckon Accounts Hosted, Reckon Accounts Desktop and Reckon Payroll Premier. 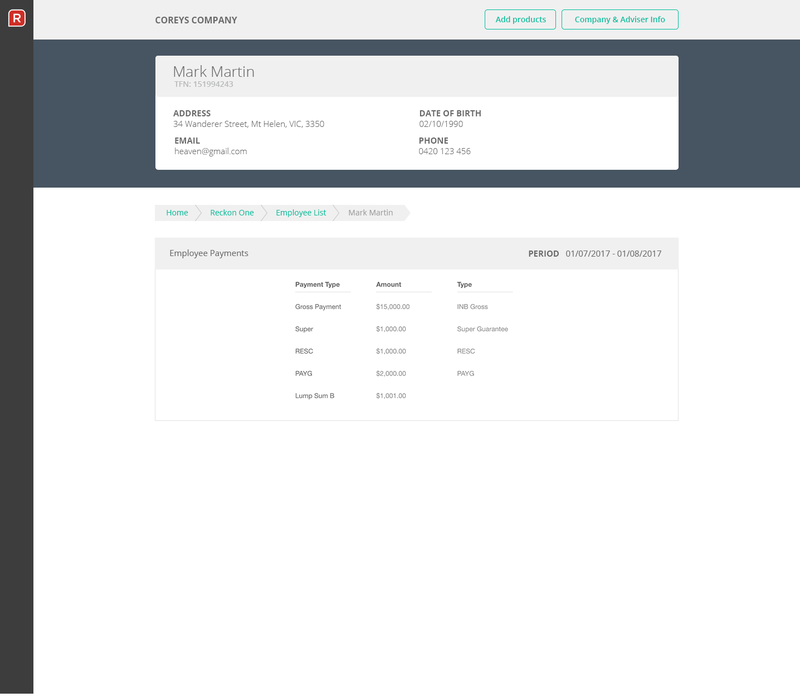 The application acts as a gateway, helping you manage your payroll reporting regardless of what Reckon product you use. Reckon One has a direct connection to GovConnect STP. Reckon Accounts Hosted, Reckon Accounts 2018 and Payroll Premier 2018/19 feature an export option to get the required data in a file format that GovConnect STP can read. How do I access GovConnect STP? To access to the GovConnect STP application you will need a Reckon Portal account. This can be obtained for free at https://portal.reckon.com. GovConnect STP is a cloud application so you do not need to download anything, you simply log in. Reckon One: You already have a Reckon Portal account. Log in using your Reckon One credentials. Accounts Hosted: We’ve set up a Reckon Portal account for you. Log in using your Reckon Accounts Hosted credentials. 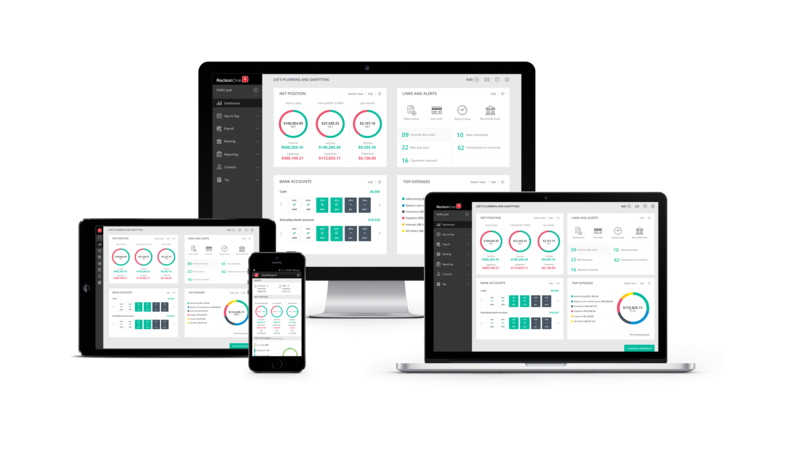 Reckon Accounts/Payroll Premier: You need to create a free Reckon Portal account. Once you have signed up for Portal, you will need to select and enable GovConnect STP. Please see GovConnect help guide for specific information for your product. Is there a cost for STP? No. STP compliance is part of the Reckon product offering. How do I find and register my Software ID? How do I register my Software ID with the ATO? • You can also call the ATO to register your Software ID. The phone number is 1300 852 232. You will need Reckon Limited’s ABN which his 14 003 348 730 and the Software ID which was generated in your GovConnect application. Where do I find my software ID in GovConnect STP? 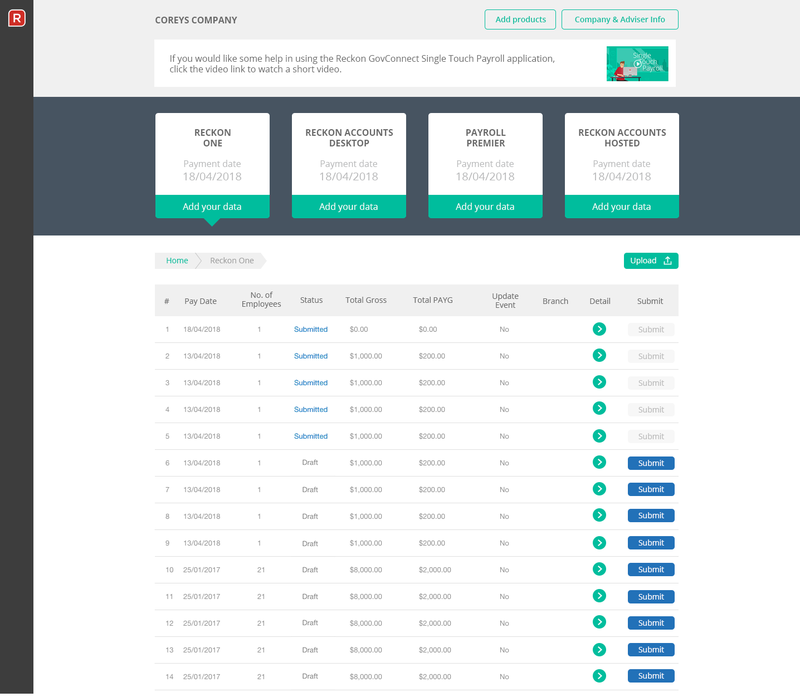 Open Reckon GovConnect, open the business you have registered, and click Company & Adviser Info. You will then see your Software ID listed. Do I need an AUSkey to use GovConnect STP? The only time you require a business or tax agent AUSkey to use Reckon GovConnect is to register the Software ID with the ATO – and only if you are doing this via the ATO access manager. A unique six-digit code that’s generated by Google Authenticator app on your smartphone. With MFA enabled, only a Reckon user with access to that trusted device will be able to log in. This makes it more difficult for unauthorised people to access your data. *Also known as two-factor authentication (2FA). Download our GovConnect STP FAQ doc for a full list of questions. It’s free and easy for Reckon customers.